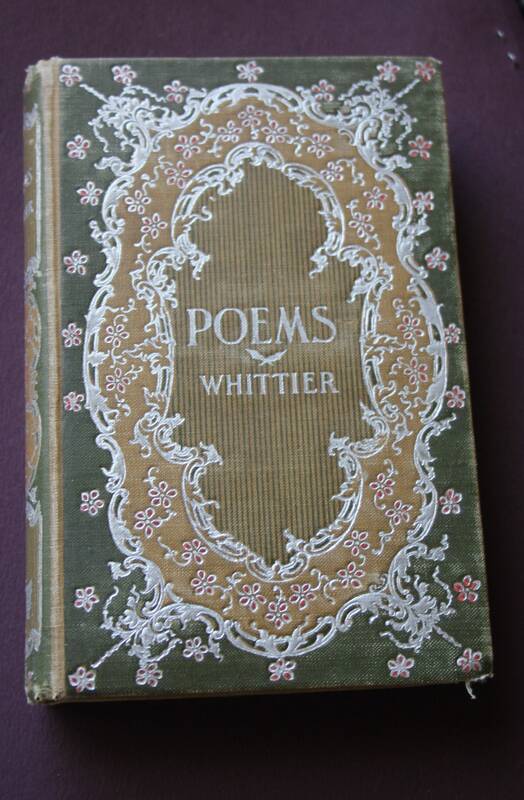 Poems by Whittier is a cloth board hard bound book of John G. Whittier's poetry published by H. M. Caldwell. John Greenleaf Whittier was an American Quaker poet and advocate of the abolition of slavery in the United States. 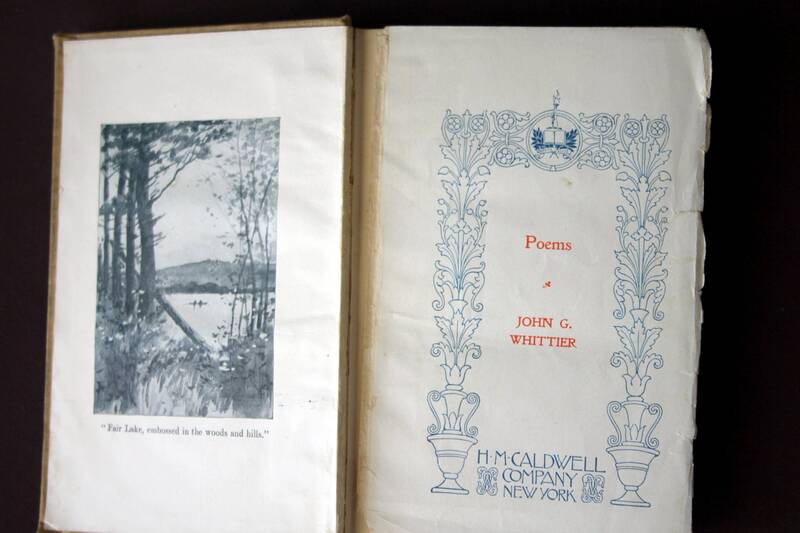 Frequently listed as one of the Fireside Poets, he was influenced by the Scottish poet Robert Burns. 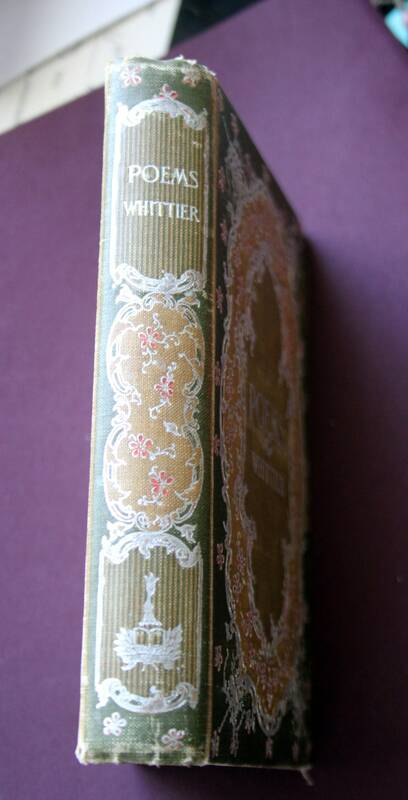 Whittier is remembered particularly for his anti-slavery writings as well as his book Snow-Bound. Born: December 17, 1807, Haverhill, MA Died: September 7, 1892, Hampton Falls, NH. 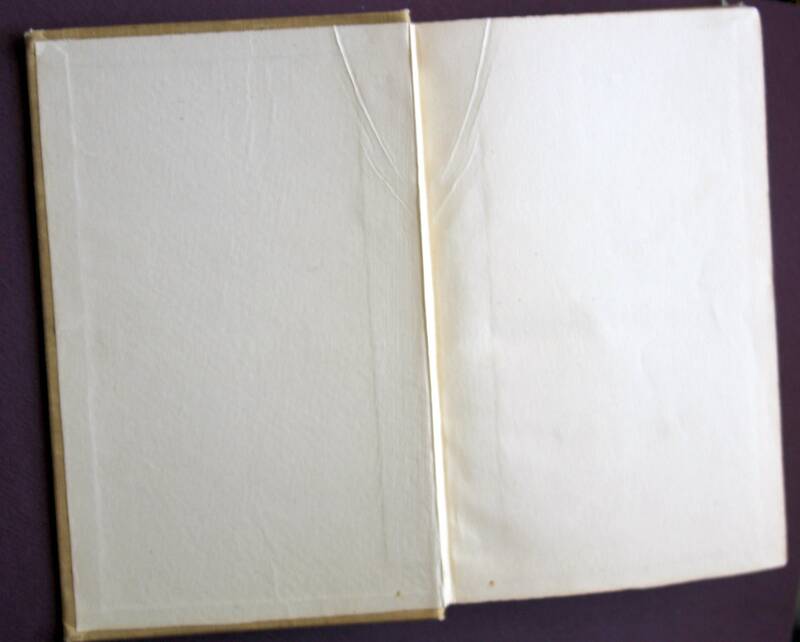 The book has wear on its edges but binding is intact. 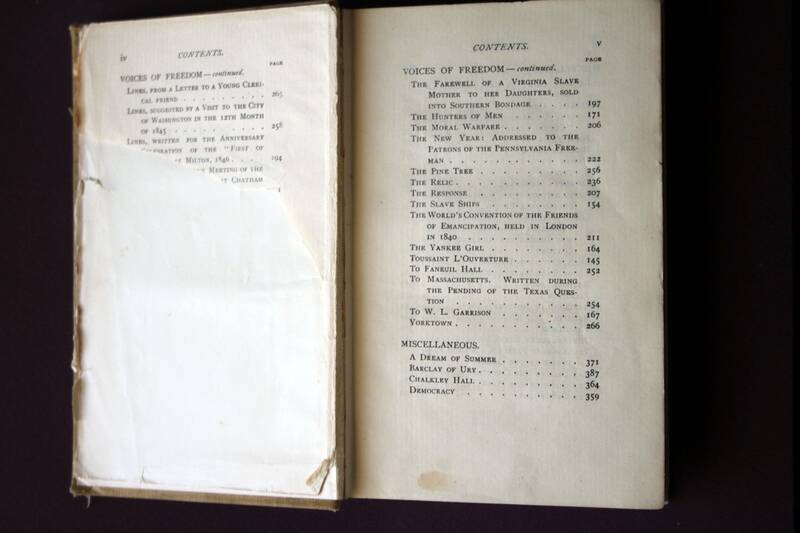 The cover page is loose and half of the first contents page is missing. 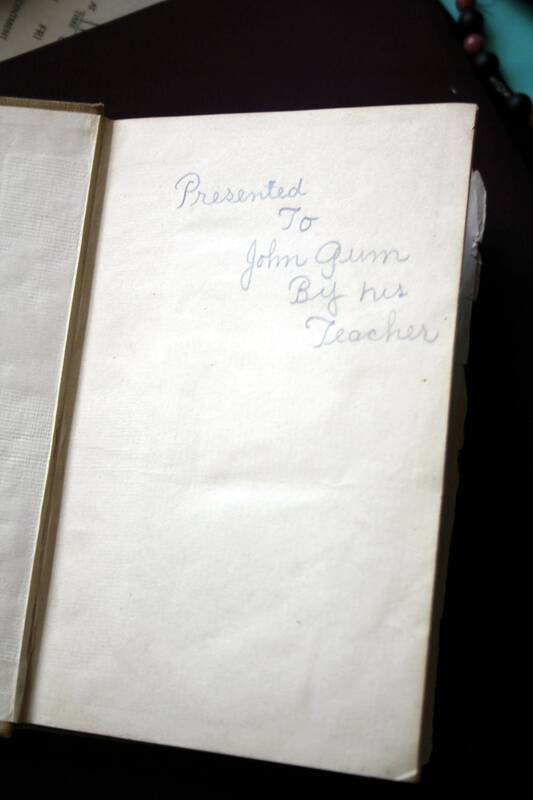 The front is inscribed "To John Gum from His Teacher." It is illustrated. 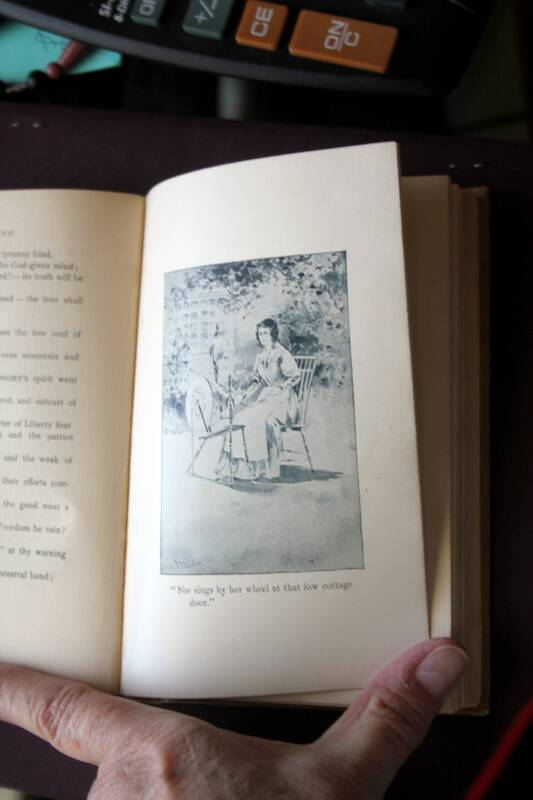 There is no publication date, but there are other books in this series that were published between 1900 and 1903. 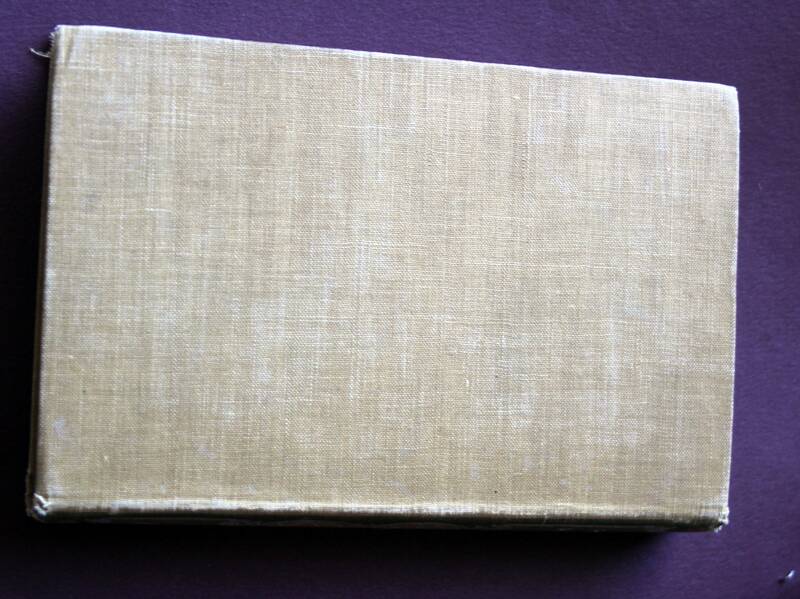 It measures 6 3/4" by 5 1/2" by 1 1/4".